Up to one in five people experience acid reflux every week. But by separating fact from fiction when it comes to heartburn, you can extinguish the flames for good. Myth #1: You should avoid spices.Reality - "Seasonings won&apos;t necessarily cause acid reflux," says Douglas Adler, M.D., an associate professor of medicine at the University of Utah. "The real culprits are usually acidic foods like citrus and tomatoes, which are used in spicy meals." Other offenders are caffeine (don&apos;t forget it&apos;s in chocolate too) and peppermint. Myth #2: You&apos;ll only feel a burning in your chest.Reality - Difficulty swallowing, a cough and a hoarse voice are other signs of acid reflux, says Vivek Kaul, M.D., an associate professor of medicine at the University of Rochester Medical Center. If your throat feels funny after eating acidic foods, try antacids, not cough drops. Myth #3: You don't need to see a doctor.Reality - Talk to your M.D. if you're taking OTC meds more than twice a week or for more than two weeks in a row. 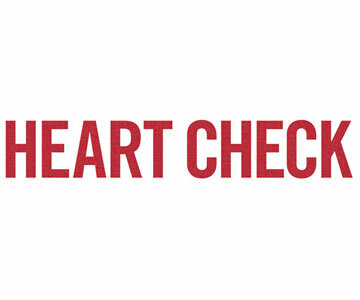 Untreated, chronic heartburn may damage your throat and eventually lead to esophageal cancer. An M.D. can write you a prescription or suggest dietary tweaks.